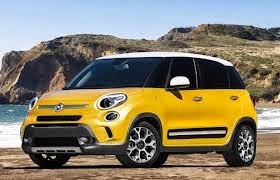 Home Fiat 500L Chrysler recalls the 2014 Fiat 500L for the transmisison shift lever having a delayed or no effect on selecting a transmission gear which could cause an accident. Chrysler recalls the 2014 Fiat 500L for the transmisison shift lever having a delayed or no effect on selecting a transmission gear which could cause an accident. Want a new Fiat or get youur money back?